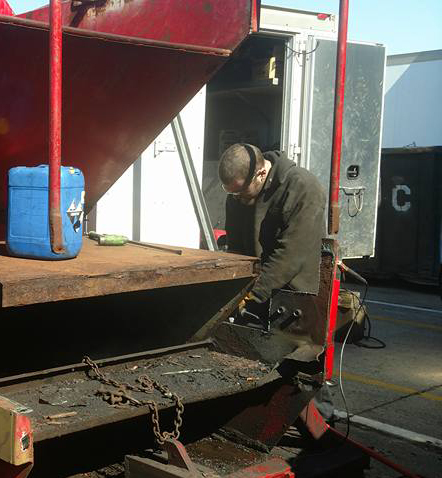 Jerry’s Mobile Truck Repair is a family-owned and operated business incorporated in 1985. Jerry England is the lead mechanic as well as the owner of the business. While serving as a Camden City police officer until the early 1980’s, Jerry couldn’t help but notice the uncanny amount of broken down trucks, and the drivers stuck for hours. Growing up a gear-head who built and raced cars, Jerry saw the potential for a business venture doing what he loves. Jerry left the force, risked it all, and incorporated what is now Jerry’s Mobile Truck Repair. We service an approximate 60 mile radius around the Camden County, NJ area, including the Jersey shore, Philadelphia, PA, and parts of Delaware and Maryland. As a small company, it is especially important that we earn and maintain the respect of our many local and long-distance customers, large and small. We have achieved this by having the right tools, dedicated personnel, and always doing whatever it takes to leave customers satisfied with our service. This has earned Jerry’s Mobile Truck Repair a national reputation for excellence for our on-site repairs of diesel/heavy duty equipment. Our database of satisfied customers continues to grow, and we welcome the opportunity to add to that list.